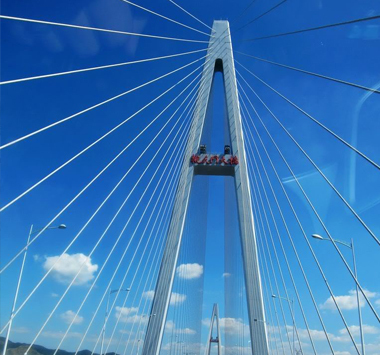 The SEPTOPOD was recently used in the construction of the Hangzhou Bay Bridge, China. 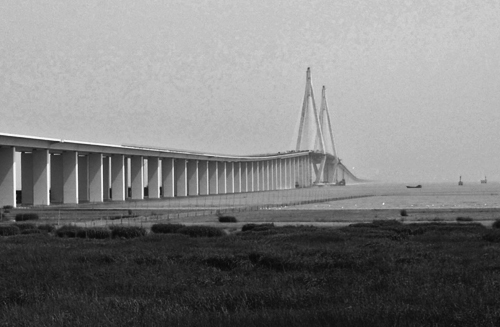 This 35.6km bridge is exposed to aggressive tidal environments with a tidal variation of up to 9m and wave speeds of up to 30kmph. 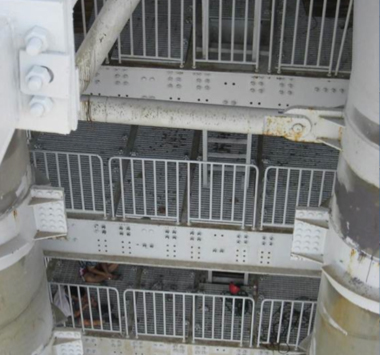 Concrete structures in marine environments experience deterioration caused by reinforcement corrosion due to external salts, freeze-thaw, repeated wetting and drying cycles, abrasion due to wave impacts and biological attack. Amphora’s SEPTOPOD was embedded in concrete blocks at various locations in this structure and in a number of differing concrete types. The concrete types monitored included C30, C40 and High Performance Concrete (HPC) and are located in the atmospheric zone, splash zone, tidal zone and submerged zone. The electrical resistivity readings from the sensors can be related to a number of important early age concrete properties such as rate of hydration, setting characteristics, microstructure formation as well as long term changes in the transport properties of the cover zone. 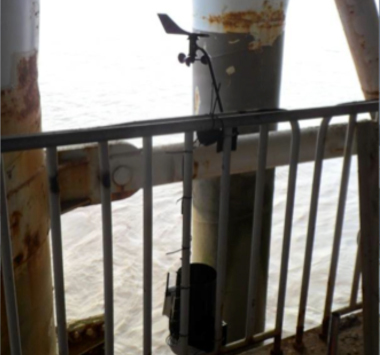 This information is vital for engineers assessing both the initial and long term performance of the structure and allows intervention at the earliest opportunity if needed.